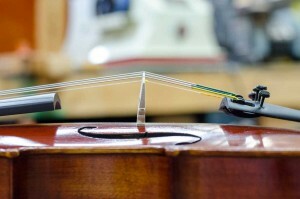 The bridge can become warped over time, mostly due to the pressure of the strings and the drag of the strings across the bridge when tuning. 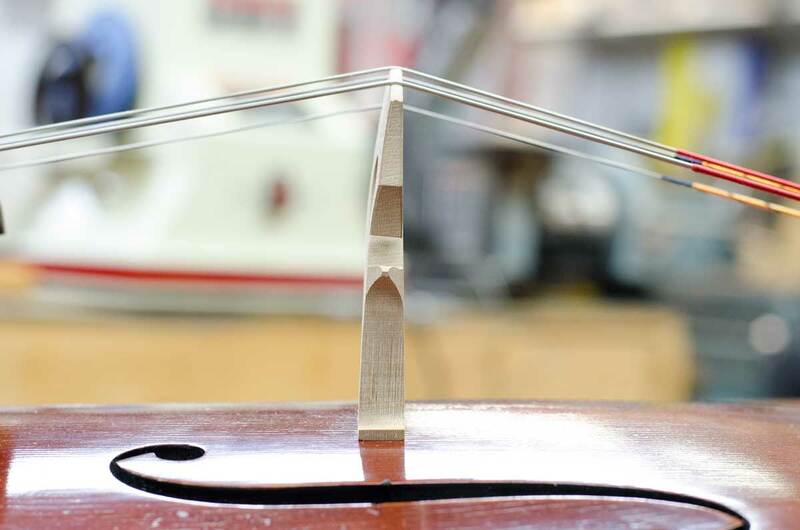 It is important to pull the bridge back into the correct position after tuning. 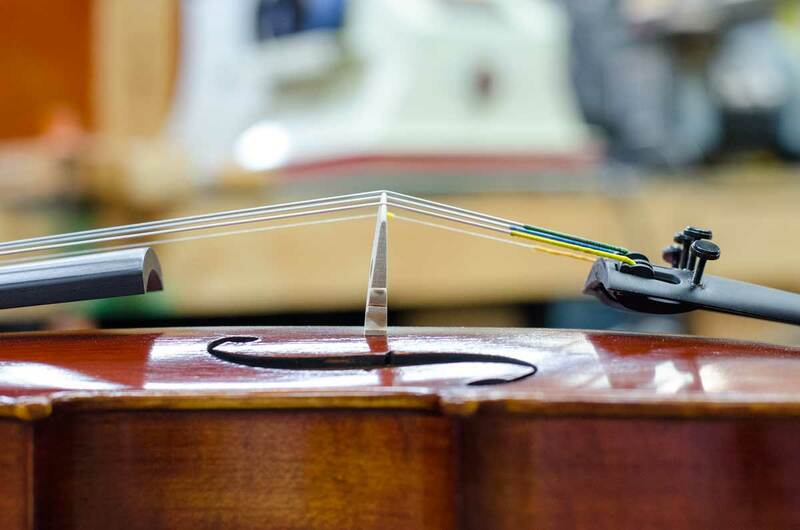 This is especially important when you change strings or when the strings have come completely loose, but straightness should be checked frequently and corrected when it has been pulled out of place. Straightening a warped bridge is possible up to a point. A very warped bridge will need to be replaced. It is preferable to learn how to pull the bridge back into place. The bridge notches must be smooth and preferably lubricated with pencil lead. Brace the instrument against your body, grasp the bridge with both hands and pull gently back until it is straight. The bridge feet should then be flat against the top. If it is difficult to move the bridge, then there is a problem with the string or bridge notches. Consult your technician to correct this. Good care will greatly benefit your instrument. 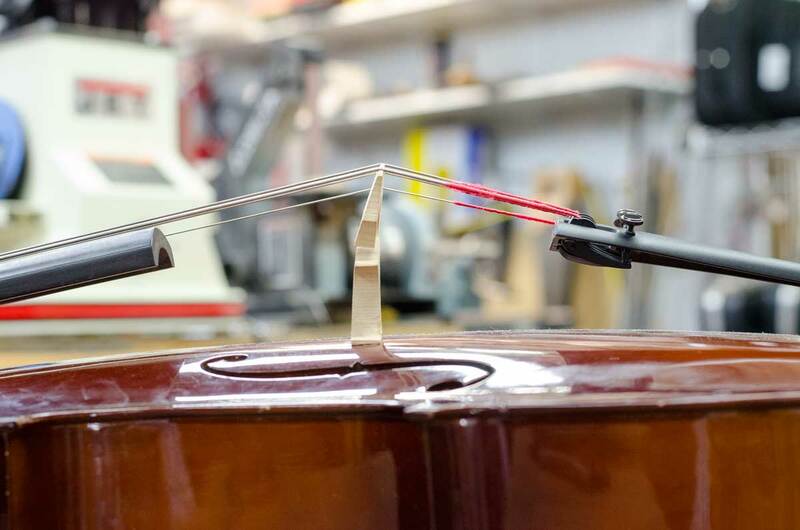 If there are problems, the technicians at Paige’s Music are uniquely capable and happy to help you maintain your instrument in peak playing condition!